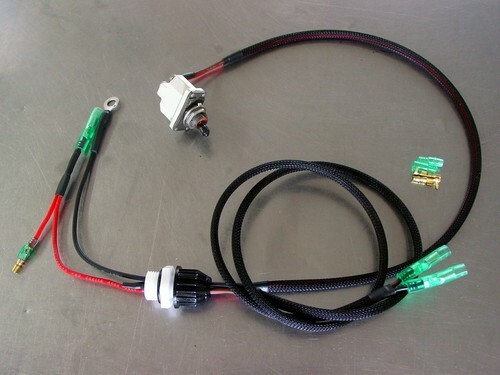 Easily add a bilge switch to your Kawasaki without having add on connectors on your battery or other wiring difficulties. Our harness installs in place of the usually disconnected heat sensor. Simply thread into e box, attached ground, tap into 12V with the included male/female tap, close up the box, mount the switch and connect your bilge pump! Switch is top quality military type sealed. These are built to order, so you can specify the length for the switch and pump harness.